There was a lot of fog in Silent Hill 2… But this still is classic survival horror at its best though. Few thought that Konami would be able to match their 1999 hit with this sequel. But the Japanese company succeeded in delivering another great survival horror game that outdid the original in every respect. 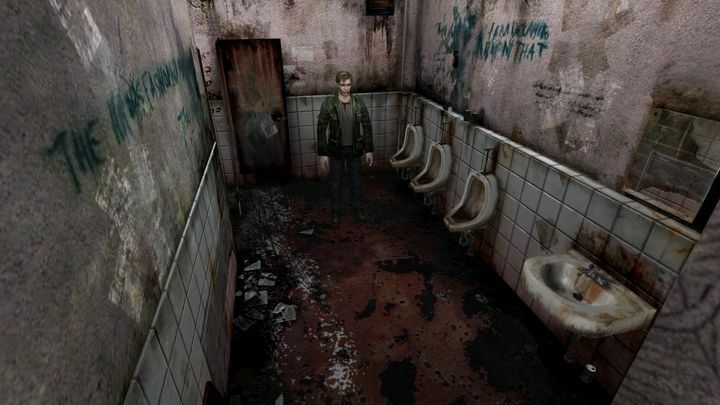 This also boasted a new protagonist named James Sunderland, a man looking for clues about his wife’s mysterious death in the eponymous town of Silent Hill. And while Capcom’s Resident Evil games clearly were inspired by George Romero’s zombie movies, this had a David Lynch, Twin Peaks vibe about it. Actually, Silent Hill 2 featured some of the most grotesque and disturbing enemies yet seen in a video game. Plus this game also introduced the scary Pyramid head, the series’ iconic antagonist (although arguably James’ sidekick Maria is an even scarier character…). Silent Hill 2 was not only about killing monsters, as there was a healthy dose of puzzle-solving thrown in for good measure, though. And like the first Silent Hill, this had multiple endings (including the hilarious UFO ending), meaning this game is only second to the masterpiece Silent Hill 3 is. Came out on: PC, Xbox 360, PS3, PS2 and Xbox.